To fish for trout in the clear streams is our idea of summer night pleasure. 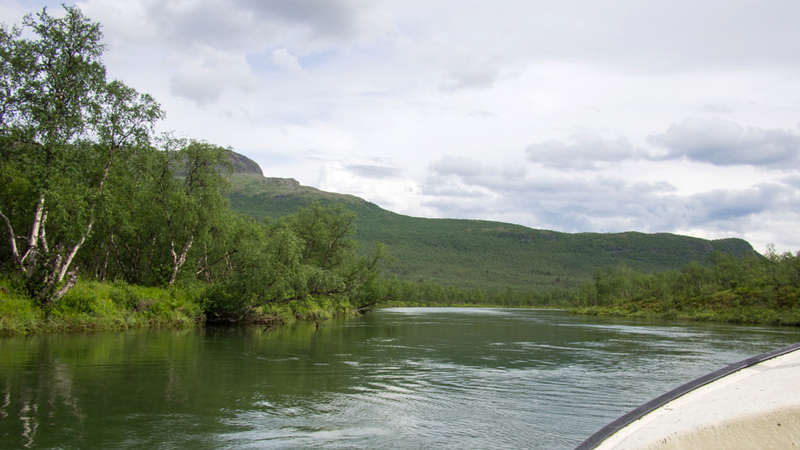 Fishing is allowed in creeks, river and lakes close to Nikkaluokta. You need to buy a fishing license and be equipped with the right tackle. Don’t forget insect repellent. With a bit of luck and stamina we hope you will be rewarded. We want you to fish responsibly and not killing undersized fish or leaving litter in nature. Watching the trout feeding and listening to the water splashing on the river rocks is a treat in itself.